As a Utility , you will fill in for any position in the warehouse including, but not limited to: Clerk, Forklift Operator, Selector, Backhauler, and Porter. 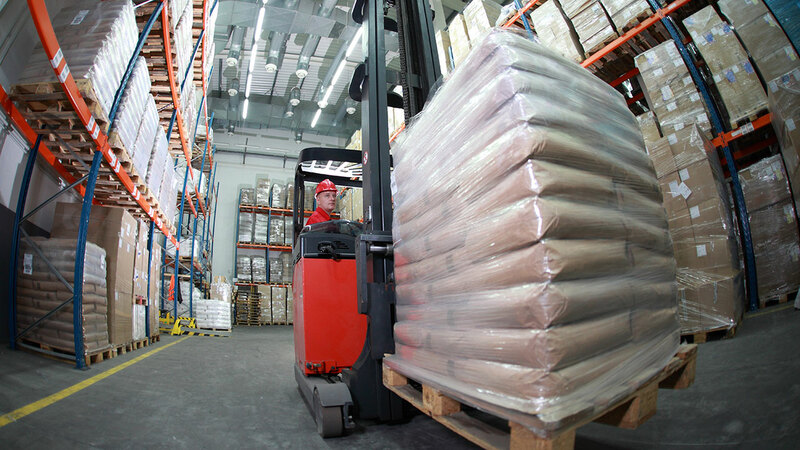 Perform duties of a Forklift Operator, including: maneuver Stand-Up Forklift to put away or let down as many as twenty pallets per hour into warehouse racks up to 46 feet high. Perform duties of a Selector, including: selecting full case grocery/perishable/frozen items, fitting these items on a pallet, plastic wrapping them, and loading them onto a trailer. Perform duties of a Backhauler, including: operate an electric pallet jack or clamp machine to transport pallets of product off inbound trucks. Compile un-palletized products onto pallets. Perform duties of a Porter, including: clean and maintain warehouse aisles and product slots. Remove product from slots with the use of a pallet jack, clean slot with cleaning supplies and an electric scrubber, and replace product. Clean warehouse offices, employee break areas, and restrooms.